A stunning yet simple Shaker style dressing room. The ceiling to floor fitted wardrobes span the length of the room on both sides. 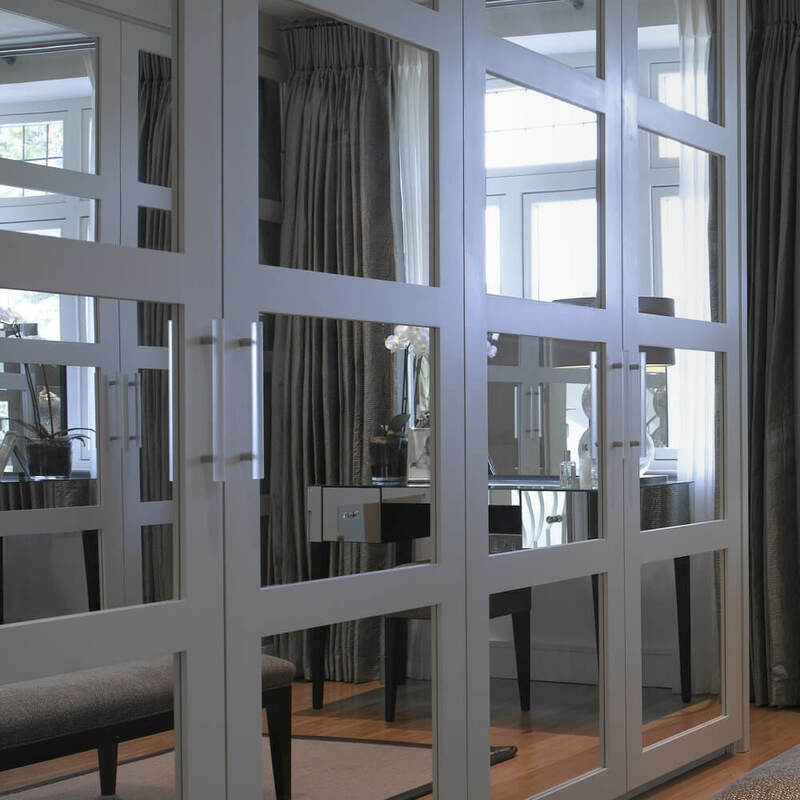 The mirrored doors create a feeling of open space and reflect more light into the room. 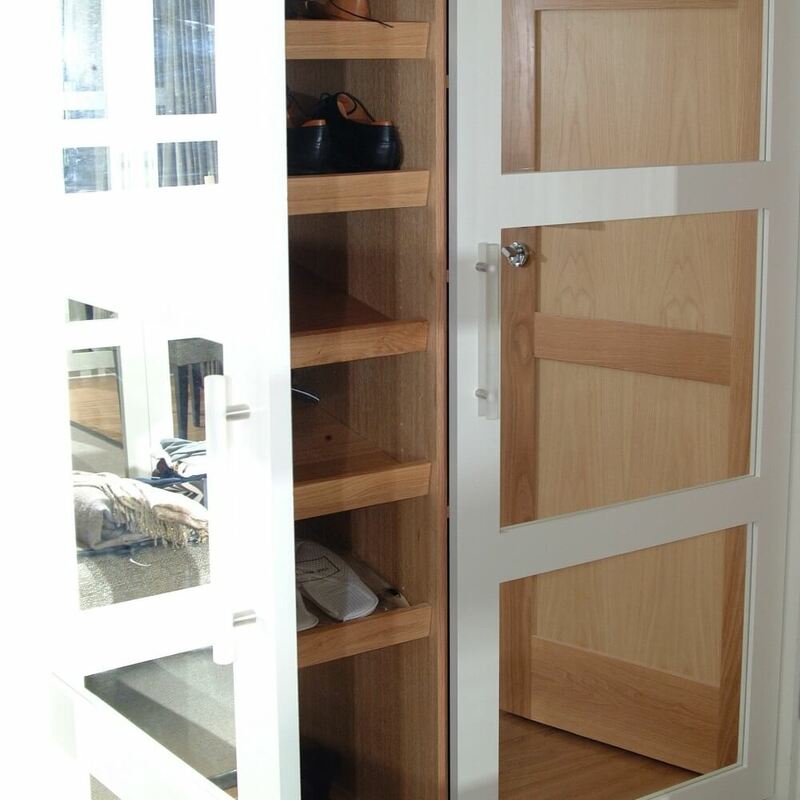 The bespoke fitted wardrobes provide a functional storage solution with shoe racks and drawers. Bespoke furniture for the bedroom is a great idea if you are wanting to achieve a certain look or you have awkward angles or limited space. With the variety of materials and finishes available, anything is possible. We have lots of ideas to create a minimalist look within a bedroom with the introduction of storage space and stylish design.